GetMowed.com is a nationwide directory of local lawn mowing, landscaping, and lawn care service providers. We also aim to provide the most comprehensive and beneficial lawn care information to lawn care providers and home lawn care enthusiasts (yes, some people enjoy lawn care). 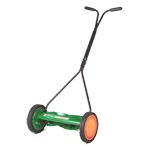 Browse the categories of this site to find information about lawn mowing services, lawn mowing companies, lawn care companies, lawn fertilizer products, pesticides, herbicides, and more! We do not claim to be lawn care experts. We do however believe that the best informational lawn care website can be built by sharing information amongst lawn care providers through an easy to use website like GetMowed.com! If you are a lawn care provider without a website we would gladly help you with that.